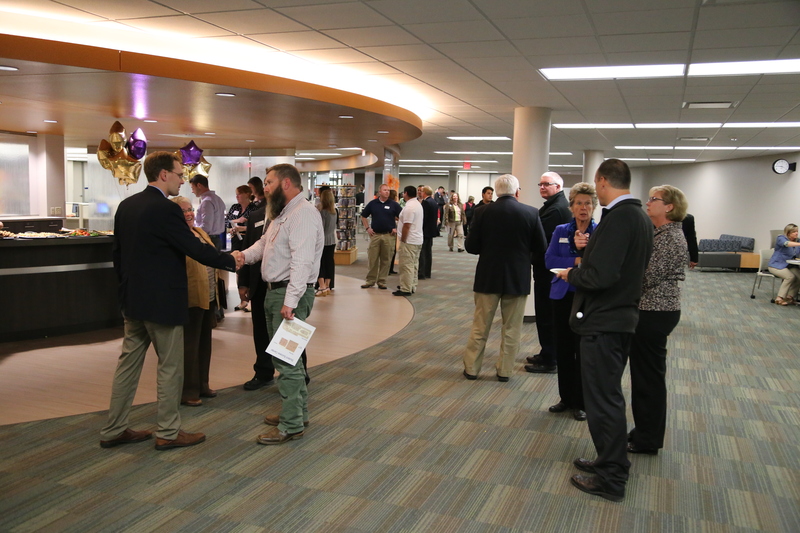 Guests assemble during the dedication to check out the expanded Library. It was such a pleasure this past week to dedicate the new Student Success Center on the Appleton Campus. Joining us for this brief event were community leaders, students, faculty and staff, elected officials, and members of the Board of Trustees, and the Foundation Board of Directors, all who helped to make this impressive facility a reality.